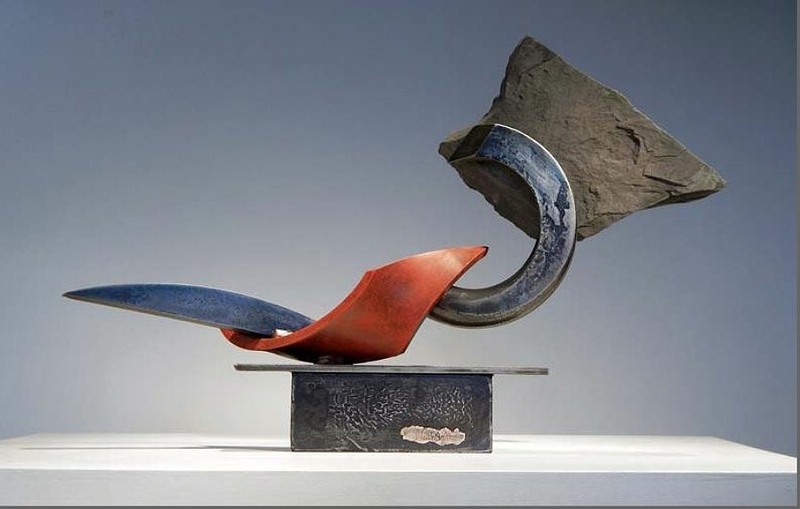 John Van Alstine is an American sculptor living and working in Wells, NY in the Adirondack region of New York State best known for stone and metal abstract sculptures exhibiting exceptional balance and poise. The works are often multi level with references to the figure, classical, nautical, celestial and western mythological themes. On the most basic level, his work is about the marriage of natural with the human made. 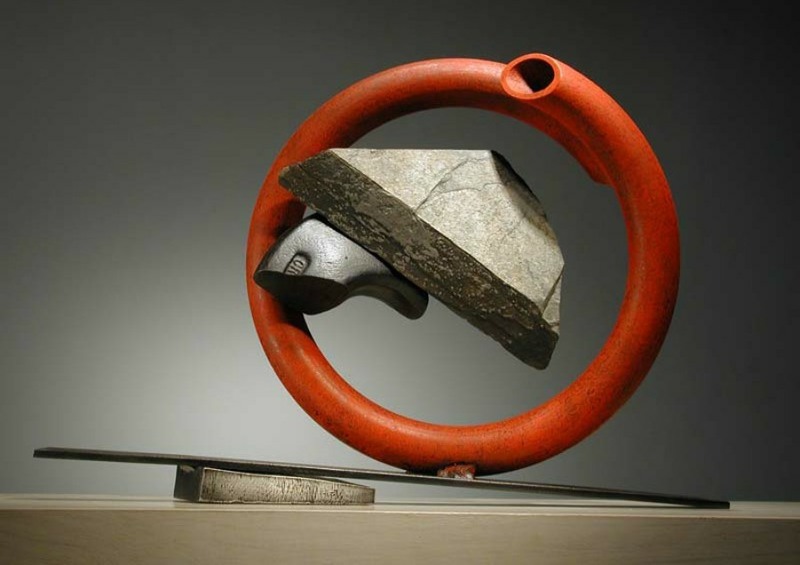 Stone is used as an assemblage method the way a welder uses steel, rather than in the traditional manner of subtraction. In contrast to the timelessness of stone, the found-object metal is very time-specific ―20th century industrial. 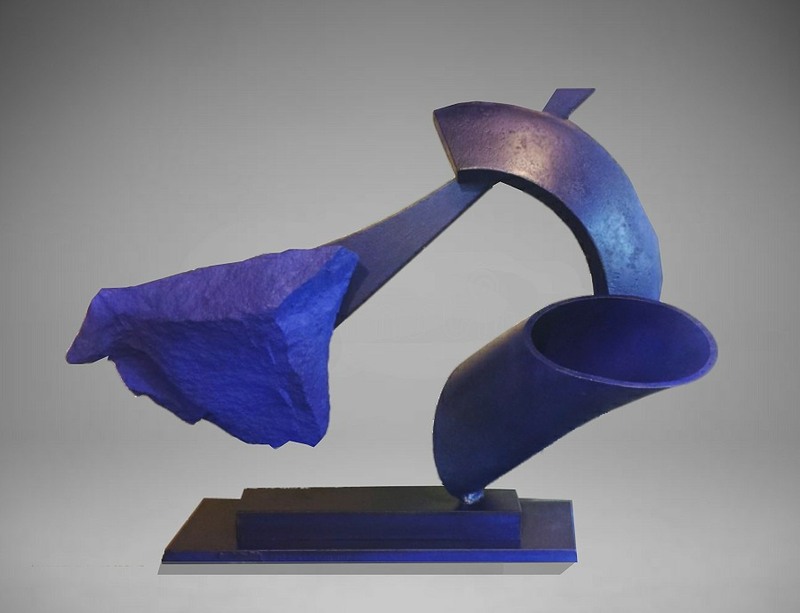 Structural characteristics in Van Alstine’s sculptures are employed to physically connect or suspend the stone elements. The strength of the metal allows “choreographing” and “floating” of the earthbound stone. 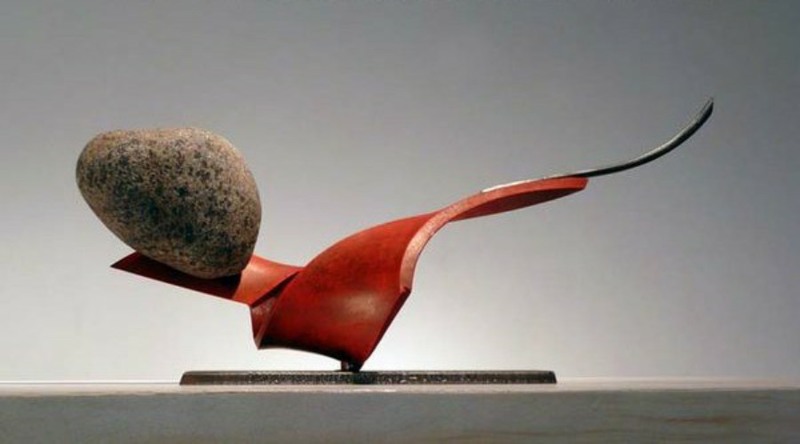 During the span of his more than 35 year career his central theme has been the exploration of motion and balance through the natural forces of gravity and inertia in monumental, large scale and smaller works located in Asia, Europe, the Middle East andNorth America. 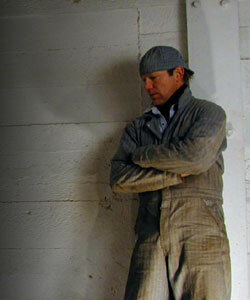 He has participated in more than 80 solo and group exhibitions. In 2000, Grayson Publishing Co. published a mid-career survey entitled “Bones of the Earth, Spirit of the Land” connecting Van Alstine’s sculptures, drawings, photographs and large-scale works to the landscape in the Western U.S. and Adirondacks. It was based on an extensive interview conducted by Sculpture Magazine editor Glenn Harper with an accompanying essay by DeCordova curator Nicholas Capasso.